I hope everyone enjoyed their Super Bowl celebrations. While watching the Super Bowl with my family, my wife and I began thinking about things a person could learn from the Super Bowl that’s applicable to everyday life. 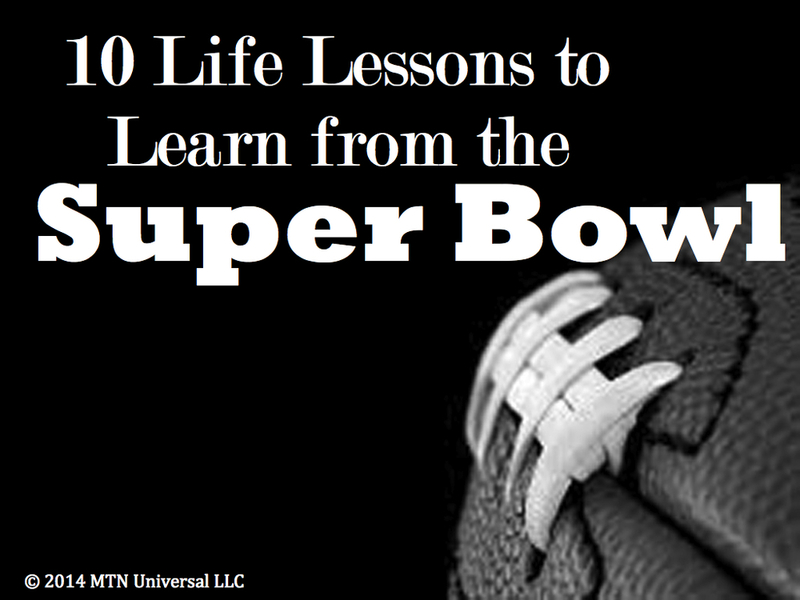 So, I came up with a list of 10 life lessons to learn from the Super Bowl in no specific order. 2. Prepare for the worst. 4. Make the best of every situation. 5. Be classy whether you win or lose, fail or succeed. 6. Be a good sport. 7. Treat every day like your life depends on it, not just one day. 9. Feed your will to win and starve the thought of losing. Action: Make every day a Super Bowl Sunday.